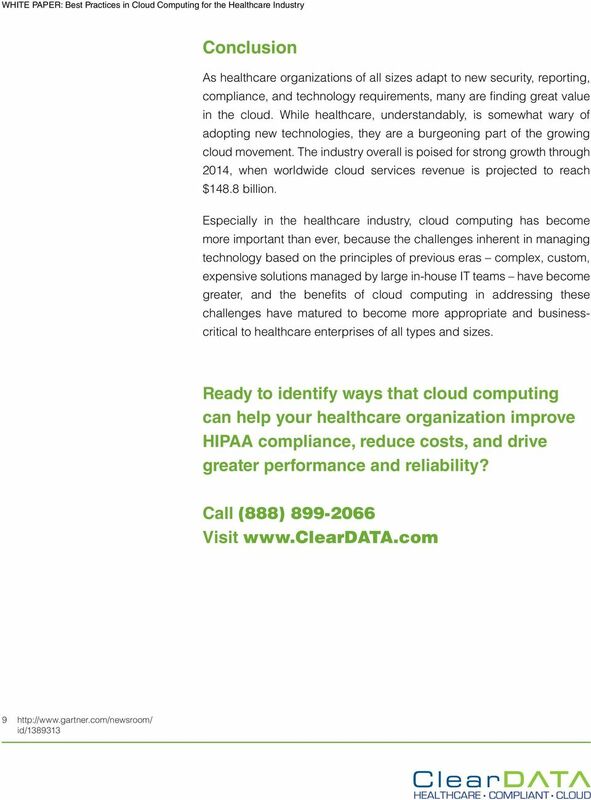 Download "BUSINESS WHITE PAPER. 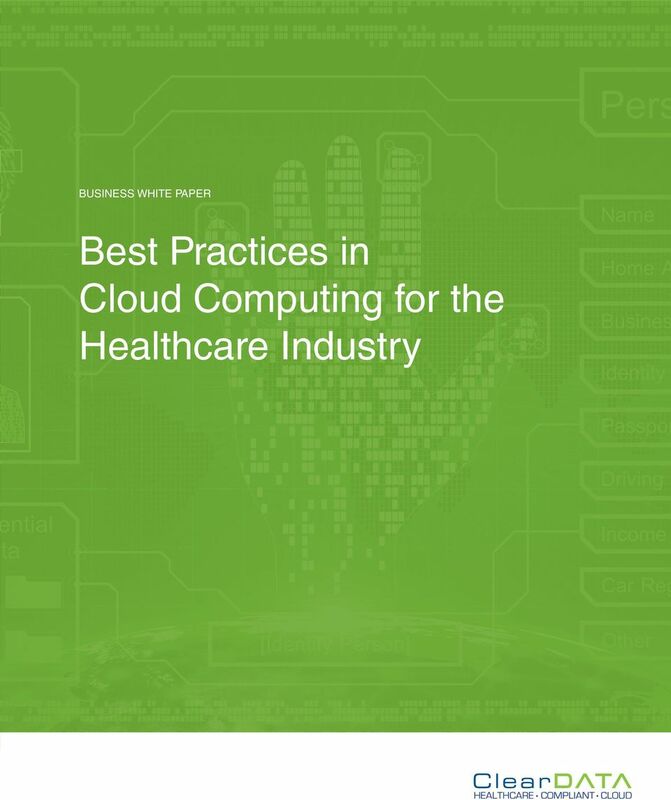 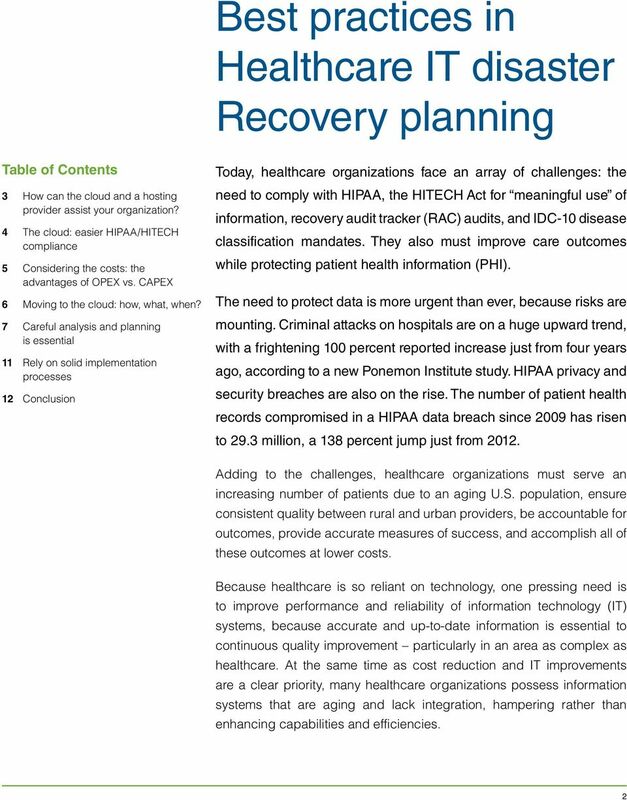 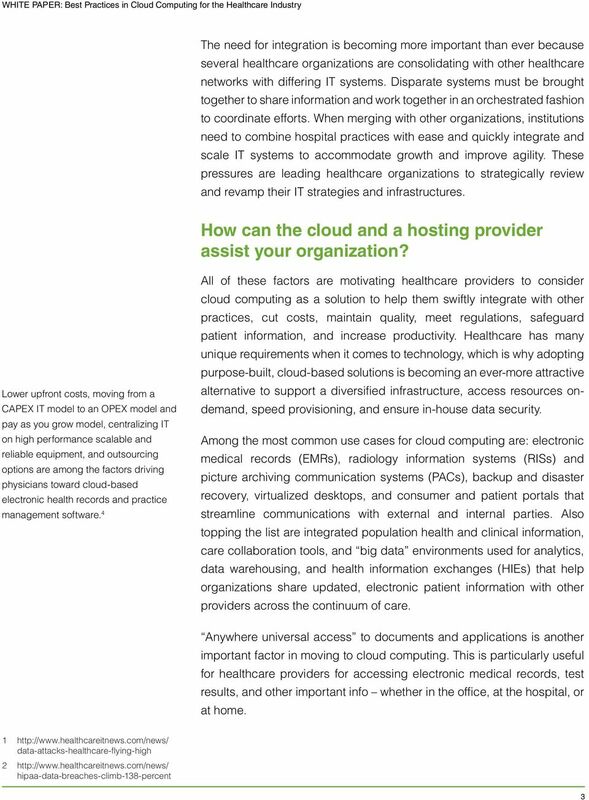 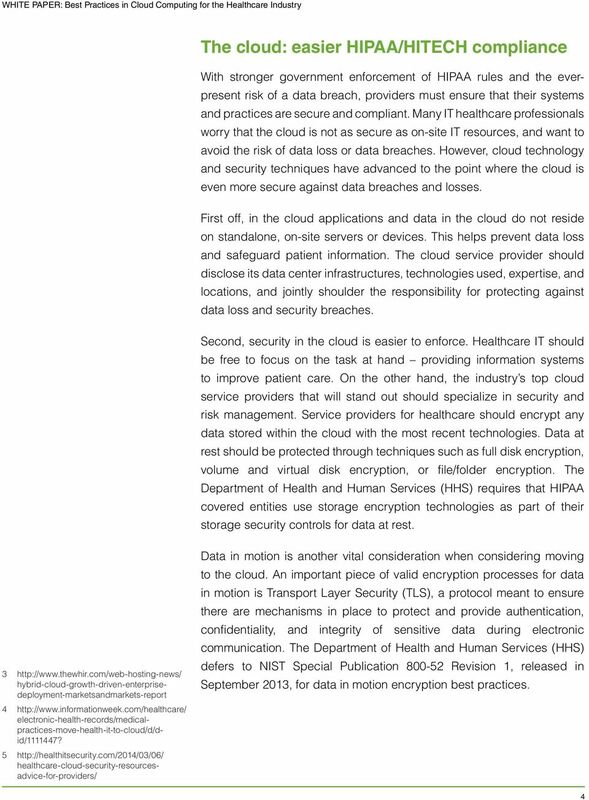 Best Practices in Cloud Computing for the Healthcare Industry"
Best Practices in Cloud Computing for the Healthcare Industry Table of contents 2 Best Practices in Cloud Computing for the Healthcare Industry 3 How can the cloud and a hosting provider assist your organization? 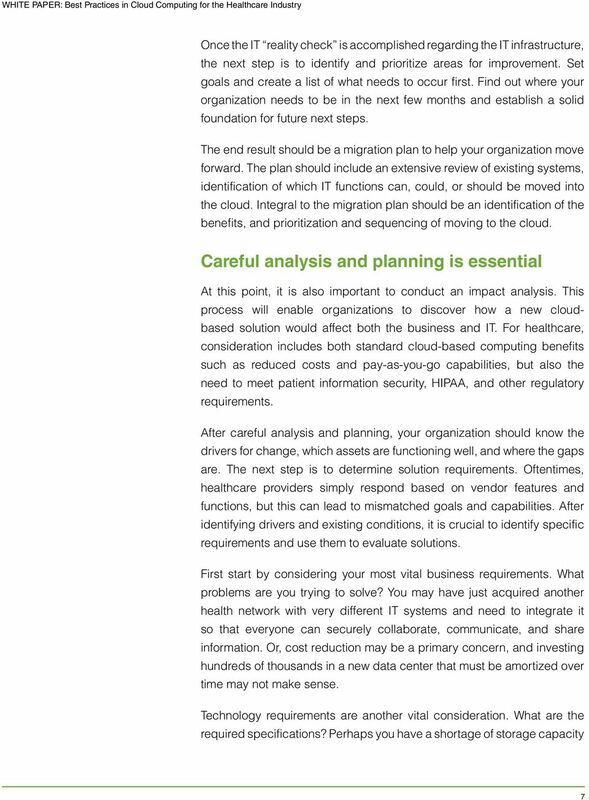 White Paper Contact Center Security: Moving to the True Cloud Today, Cloud is one of the most talked about trends in the IT industry. 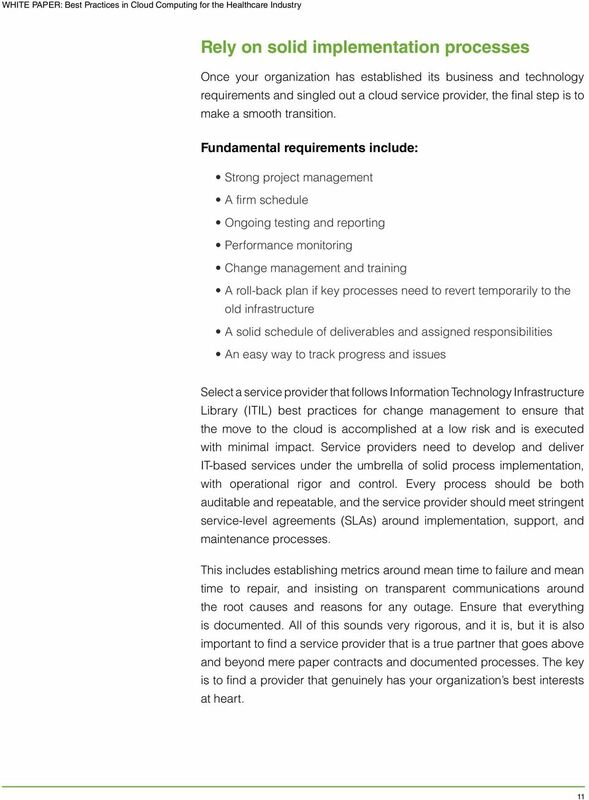 It s a paradigm many believe will have a widespread business impact. 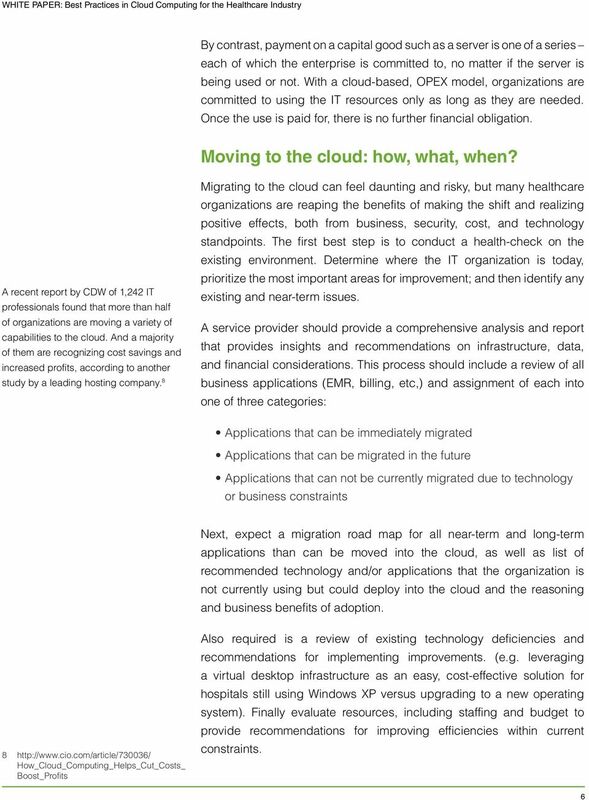 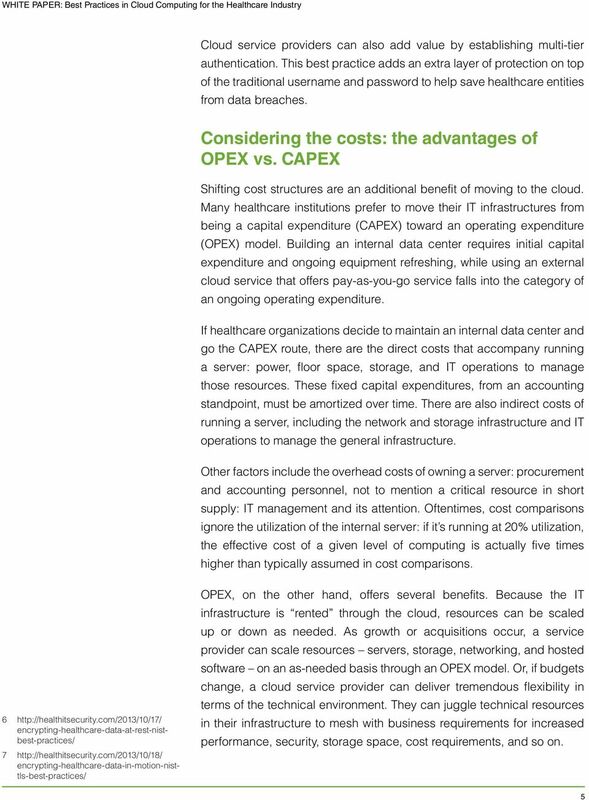 Cloud models and compliance requirements which is right for you?